In the previous post, we checked out SVN Externals to build an XNA solution with the majority of game code written in an external library and scaled out across multiple game clients including Android + iOS. 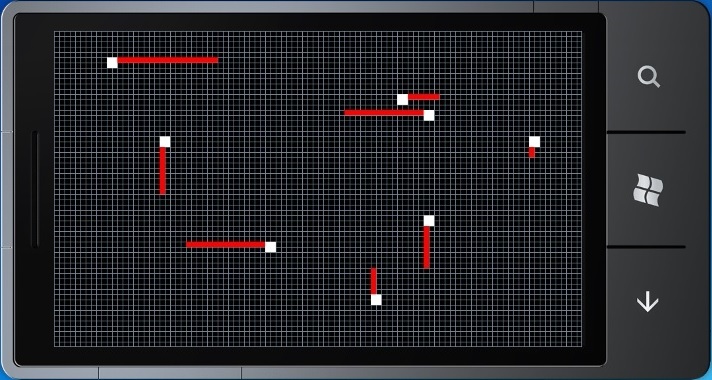 As an example, the XNA and System Testing snake simulation was scaled to demonstrate SVN Externals. However, all code here is in trunk; larger scale development requires release tags and feature branches. Let's check it out! This post assumes you already have Tortoise SVN installed on Windows and svnx installed on Mac OS/X. Before beginning new development, it's often best practice to tag your current release build from trunk. Note: when you create a tag in Subversion, you are not tagging the SVN Externals repository, you are tagging your working copy. If you do not specify the revision then SVN Update will always get latest! svn propset svn:externals 'Common -r2276 $DEMO/XNA/trunk/XNA.Common' . If you have Tortoise SVN 1.9.4 installed then you can use the new --pin-externals option for svn copy. This will automatically set the SVN revision in the tag for you without manual lookup in the SVN logs. svn copy --pin-externals svn:externals $DEMO/trunk $DEMO/tags/1.0.0.0 -m "1.0.0.0"
XNA svn copy --pin-externals $DEMO/XNA/trunk $DEMO/XNA/tags/1.0.0.0-XNA -m "1.0.0.0-XNA"
WP7 svn copy --pin-externals $DEMO/WP7/trunk $DEMO/WP7/tags/1.0.0.0-WP7 -m "1.0.0.0-WP7"
Win svn copy --pin-externals $DEMO/Win/trunk $DEMO/Win/tags/1.0.0.0-XNA -m "1.0.0.0-Win"
And svn copy --pin-externals $DEMO/And/trunk $DEMO/And/tags/1.0.0.0-And -m "1.0.0.0-And"
iOS svn copy --pin-externals $DEMO/iOS/trunk $DEMO/iOS/tags/1.0.0.0-iOS -m "1.0.0.0-iOS"
On Mac OS/X it is most likely that you cannot use the new --pin-externals option for svn copy as the svn version is too low. Here are some basic instructions to upgrade to, for example, SVN 1.8 on Mac OS/X. However, upgrading may cause svnx incompatibility. Also, higher versions may require an upgrade to serf. A better approach may be to cut all tags on Windows PC and SVN Update all tags on Mac OS/X. svn copy $DEMO/XNA/trunk $DEMO/XNA/branches/FeatureX -m "FeatureX"
svn copy $DEMO/Win/trunk $DEMO/Win/branches/FeatureX -m "FeatureX"
Launch command prompt, navigate to $DEMO\Win\branches\FeatureX\$FOLDER where $FOLDER is the parent folder that hosts Windows Game project. Common branched XNA library code will be linked here. svn commit -m "Update branch"
For example increment version from previous "1.0.0.0" to current "1.1.0.0"
svn commit -m "Merge trunk down to branch"
svn commit -m "Merge branch up to trunk"
svn commit -m "Revert branch"
svn delete $DEMO/XNA/branches/FeatureX -m "Delete branch"
svn delete $DEMO/Win/branches/FeatureX -m "Delete branch"
XNA svn copy --pin-externals $DEMO/XNA/trunk $DEMO/XNA/tags/1.1.0.0-XNA -m "1.1.0.0-XNA"
WP7 svn copy --pin-externals $DEMO/WP7/trunk $DEMO/WP7/tags/1.1.0.0-WP7 -m "1.1.0.0-WP7"
Win svn copy --pin-externals $DEMO/Win/trunk $DEMO/Win/tags/1.1.0.0-XNA -m "1.1.0.0-Win"
And svn copy --pin-externals $DEMO/And/trunk $DEMO/And/tags/1.1.0.0-And -m "1.1.0.0-And"
iOS svn copy --pin-externals $DEMO/iOS/trunk $DEMO/iOS/tags/1.1.0.0-iOS -m "1.1.0.0-iOS"
To summarize, here code has been shared from a single external library across multiple game clients; However, SVN Externals could be used to scale out shared data + content across multiple clients too!